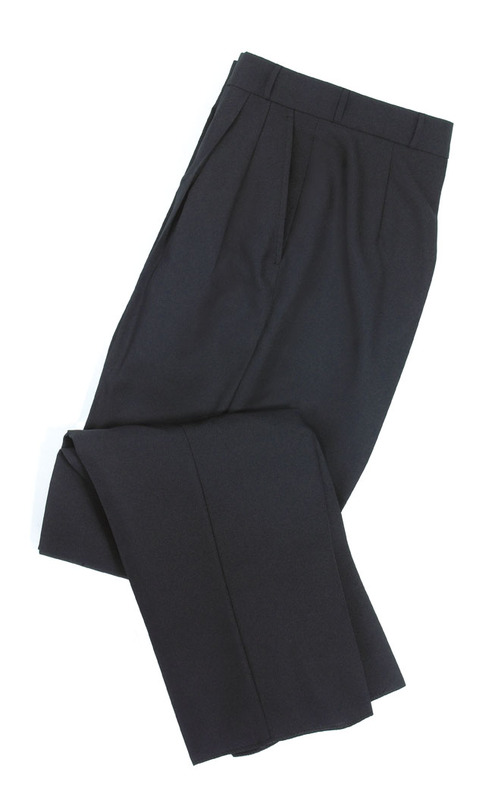 Our Men's pleated trousers are made to match our Notch and Peak Lapel 100% Polyester Tuxedo Coats. Pants do not have the Satin Stripe down the side of the leg so they can be worn for any occasion. They do have belt loops. Unhemmed.